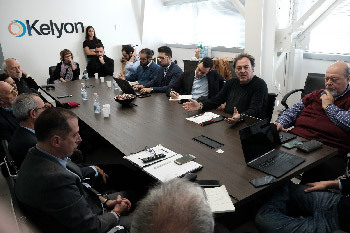 Around the table of the Kelyon conference room, the Certification of Health Apps was discussed together with Sergio Pillon, Coordinator of the Technical Commission for the development of National Telemedicine, and Giorgio Longo, from the Business Technology department of Pfizer Italia. 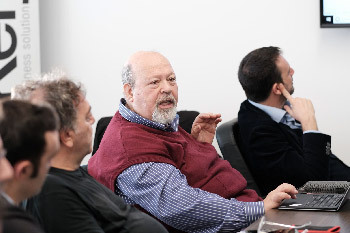 The discussion started analyzing the difference between web and mobile apps such as pedometers, life style and disease management, and apps that require more complex validation processes and that sometimes fall under the classification of Software Medical Device (SMD). 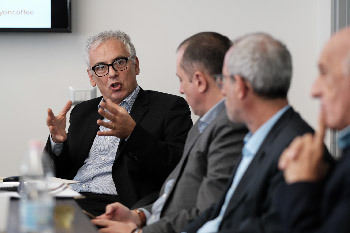 The central point of the debate was the certification process, addressed by Pillon who expressed the point of view of the impact with the public through health care system and by Longo from the perspective of a Pharma Industry. Both have agreed that APP certification is the way to guarantee the quality and safety of the service to patients and users. The Aisdet President, Ottavio Di Cillo, described the experiments underway in the Puglia Region on telemedicine applied to the Stroke and Cardiology areas, emphasizing the need to extend the scope of interventions at least at Regional level so as to include all the ASL and integrate the data of all the patients involved. The issue of medical and digital literacy has also been discussed precisely because of the need to train doctors and patients to use these apps and to get new professionals with medical-engineering skills. Finally, the issue of the lack of interoperability and integration between the NHS Medical Health Record software and the apps (Web and Mobile) able to collect data and providing disease management services on each individual patient, has been addressed by several interlocutors. Precisely this last topic will be discussed during the next #Kelyoncoffee.